The consequences of being convicted of domestic violence or a drug crime in Arizona can sometimes have far-reaching effects on you and your loved ones. Fines, jail time, community service, and criminal records can affect your ability to find work, and can even affect your right to vote. If you have been accused of a crime or misdemeanor in Arizona, you need a criminal defense attorney who has your best interests in mind. The Zachary Law Group is a team of skilled criminal defense lawyer Queen Creek with over 30 years of experience helping protect individuals’ freedom and right to a fair trial. Domestic violence is any crime performed against members of one’s own household. This can include violence against children, spouses, or family members. In Arizona, an officer can arrest an individual if he or she has probable cause to believe that domestic violence has occurred. It is also important to note that an officer can arrest both parties, if the officer has probable cause to believe that both parties engaged in violent acts. The exception to this is if one of the parties acted in self-defense. Because the officer doesn’t need to have been present in order to arrest the individuals involved, in many cases, arrests involving domestic violence are based on personal reports or eyewitness accounts. On April 5, 1999, psychologist Barbara Tversky and George Fisher, professor of law, presented their findings regarding eyewitness testimony at Stanford Law School. Their presentation was sponsored by the Stanford Journal of Legal Studies. The research investigated the fallibility or failure of memory with regards to police investigations and eyewitness accounts. Studies of human memory find that individuals sometimes improperly remember facts. This is not a case of perjury, but a case of honest human fallibility. For instance, Elizabeth Loftus performed studies where subjects were shown an image with a yield sign and a car. In many cases, the subjects erroneously referred to the yield sign as a stop sign. The legal implications of the difference, are, of course, many. The difference between a ticket, a fine, and points on your license hinge on proper identification of the sign. Additionally, lawyers and police are aware that witnesses sometimes develop false memories about events. The results of these findings have great implications for cases involving domestic violence. Witnesses do not always remember the facts properly. An experienced and skilled lawyer can interview many witnesses to ensure that the facts are represented and reconstructed accurately in court. A lawyer can help ensure that eyewitness testimony is taken in the context of the greater facts of a case. If you have been accused of domestic violence in Queen Creek, Arizona or Chandler, Arizona, you need the help of the Zachary Law Group. We have over 30 years of experience protecting an individual’s right to a fair and just trial. Arizona drug law specifies that individuals are not allowed to possess, use, produce, or sell controlled substances, including marijuana. The degree of the felony, jail time, and fines depends on the amount of the drug found on the individual. Individuals accused of possession can still end up with a criminal record and can find themselves facing jail time, fines, or community service. Drug trafficking and sale results in more severe criminal penalties. In Arizona drugs are categorized into different classes. The possession or use of dangerous drugs carries a greater degree of penalties than the possession or use of marijuana. Even so, possession of less than 2 pounds of marijuana is a class 6 felony, punishable with anywhere from 4 months to 2 years in jail. Sale of marijuana is punishable with anywhere from 1 year to over 3 years of jail time. Community service, a criminal record, and other fines are other possible consequences. Fortunately, the state affords special provisions for individuals facing their first convictions. 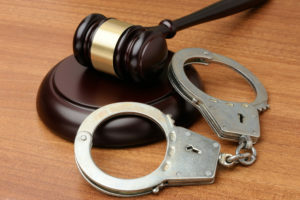 It is therefore important that if you are facing drug charges in Arizona that you seek the counsel of a skilled and experience criminal defense attorney in Queen Creek Arizona or Chandler, Arizona. A lawyer can help negotiate probation instead of jail time. You need the help of Zachary Law Group to secure your reputation, your rights, and your freedom. The Zachary Law Group understands that every criminal case is unique. We take the time to review the details of your case, interview police and witnesses, and ensure that all evidence is properly admissible in court. We can also protect you from unfair interrogation tactics and ensure that investigations are performed humanely and accurately. If you have been accused of a crime or misdemeanor, do not make any statements to the police without first seeking the advice of a skilled criminal lawyer. If you are facing drug charges, DUI, violent crime conviction, or any other criminal accusation, you need the Zachary Law Group to help you litigate your case.